British politician Nigel Farage has confirmed that he will stand in the European elections in May. 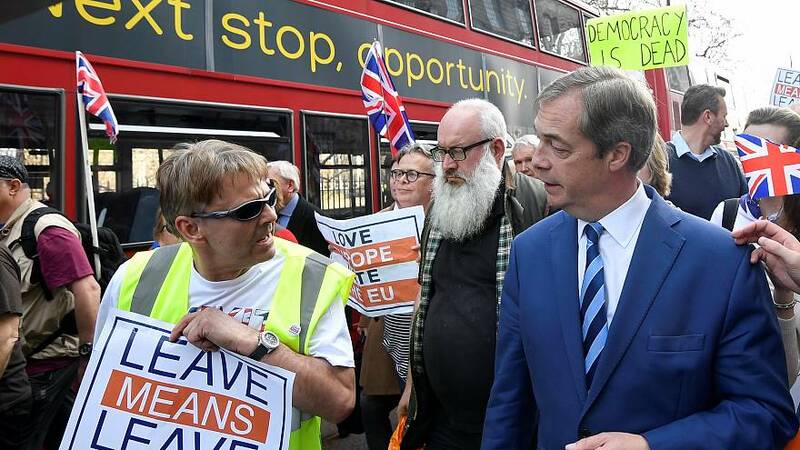 The former UK Independence Party leader said on Friday he will run as the leader of the new Brexit party, but added that he is "not happy" about it. "Am I happy about it? No, I'm not," Farage told at British TV news channel. "Actually I've got many other things in my life I'd like to do. I thought we'd won the Brexit battle...but after 25 years I'm not going to watch British politicians roll us over. No, this is the fight back and they are going to be very surprised by what they get." Nigel Farage left UKIP in December over what he perceived as the party's increasing links with the far right. He was an influential politician in the campaign leading up to the UK's 2016 referendum to leave the EU. Farage set up the new Brexit party in February and claimed more than 100,000 people signed up in the first few days.